I was recommended to visit the White Rann of Kutch (or White Desert as some call it) by a fellow traveler at the Guest house I was staying. So on the morning of 14 Jan I kick started my bike and rode there to be completely humbled by the stunning landscape. 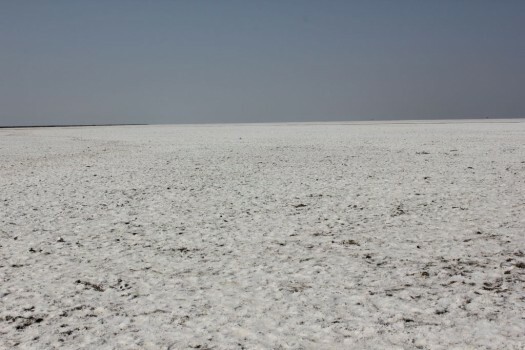 The White Rann of Kutch is a saline wetland measure 16000sqkm as some put it. 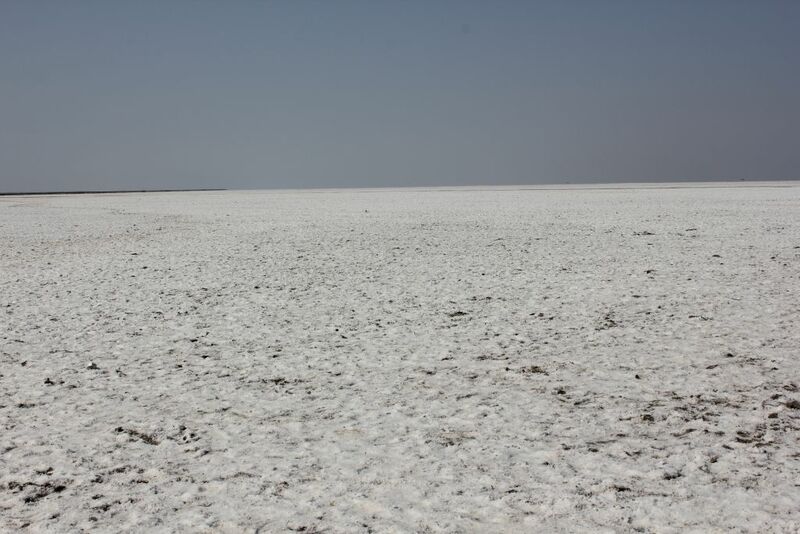 Post the monsoon, starting from the month of October or so the landscape begins to dry and leaves behind salt. 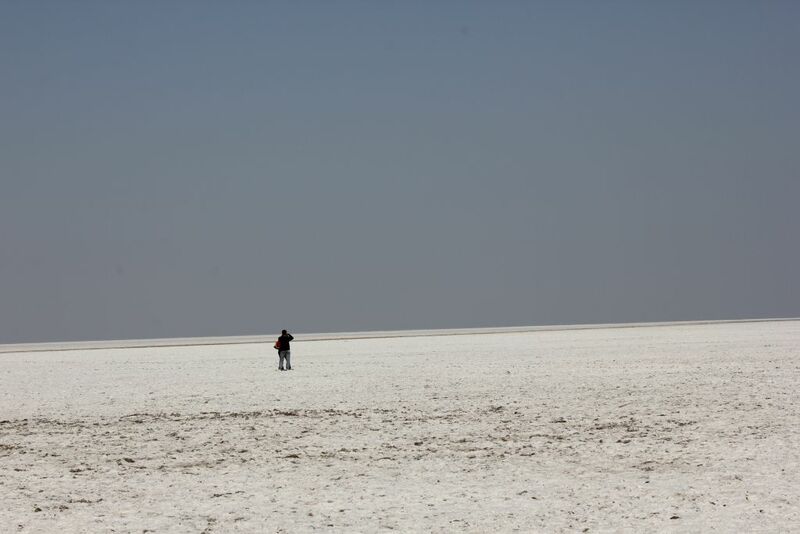 I went there in mid Jan and if you scraped a layer of salt you would still find wet mud beneath. 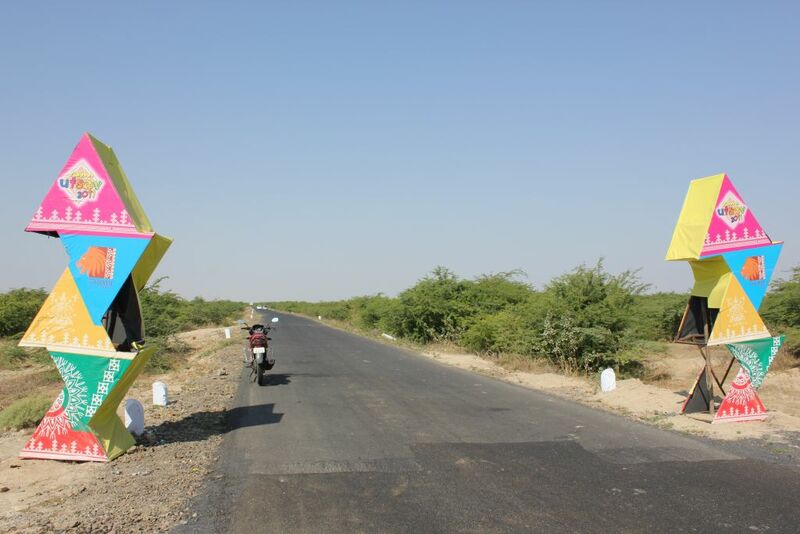 As I rode towards the White Desert all along the way I saw these ‘things’ welcoming you to the Rann Utsav or Kutch Festival – An initiative by Gujarat Tourism to draw more crowds to Kutch. 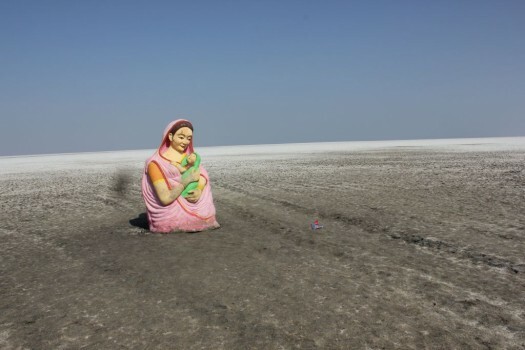 It was the penultimate day of the Rann Utsav. 'Things' welcoming you the Rann Utsav and 'Beauty in Red' in the background. As I crossed the tiny village of Dhorodo I came upon the visuals of a colorful and full of crowds ‘Tent City’ set up by the Tourism department for tourists. 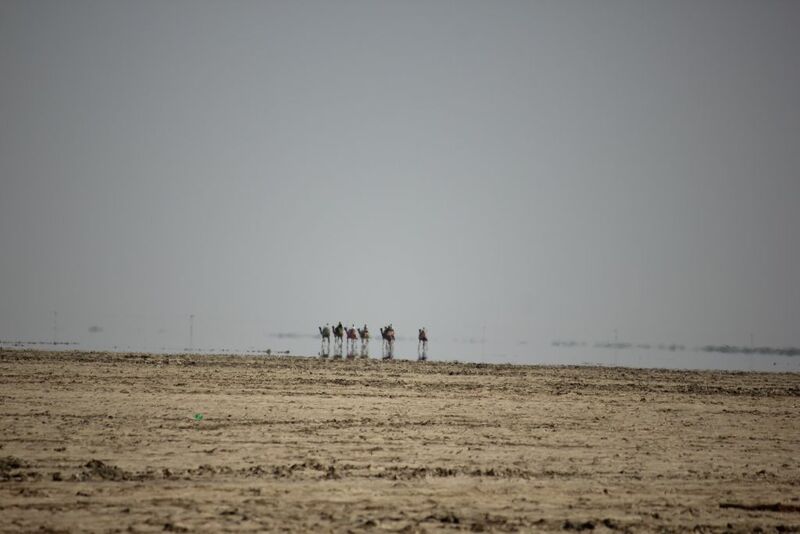 I hate crowds so I drove through without waiting to click any pics but once I crossed the Border Security Force check post set up at the end of tent city I was simply numbed by the amazing the landscape. 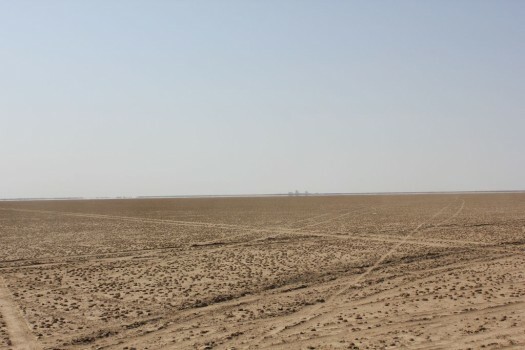 Miles and miles of flat barren without a sight of tree or bird or an animal. And though it was pretty chilly in the early morning when I left my guest house in Bhuj. It was damn hot here at noon. And all the biking gear I was wearing – jacket, gloves, knee guards was not helping at all. My ‘Beauty in Red’ was thoroughly enjoying it. 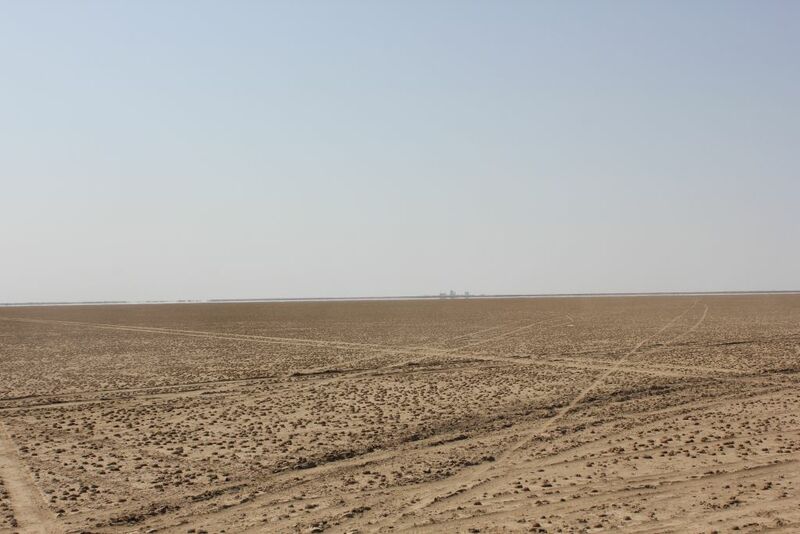 The landscape spares nothing.. not even statues made of metal and fibre. 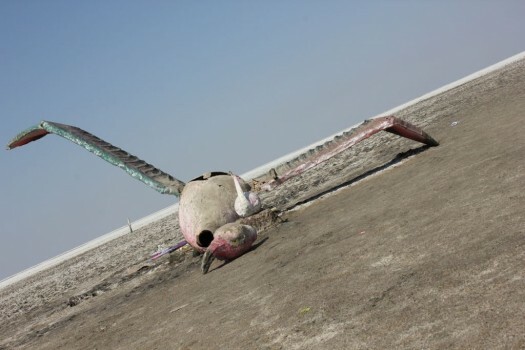 Even the lifeless lie dead! But then there are certain things that cannot be undone by anyone or anything. It is the power that Harry has that the Dark Lord has or knows not. 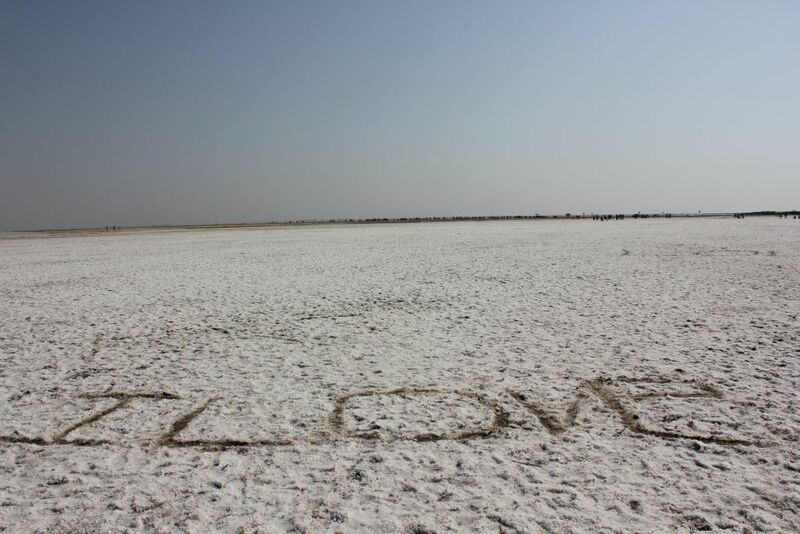 And examples of the much talked about Love. An old couple walks to find some solitude and a young couple who it seemed to me were here for their honeymoon. Young lovebirds just learning to fly! It was the day of Makar Sankrant festival – The festival of Kites celebrated with great fervour in Gujarat. 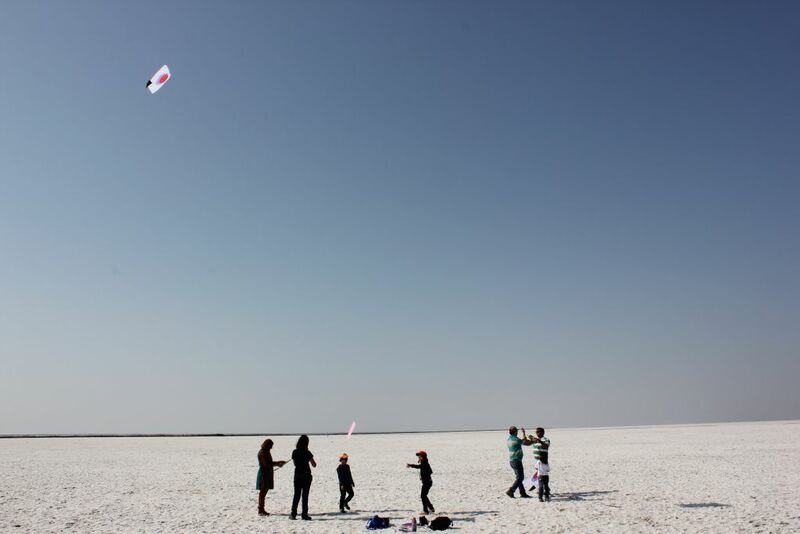 A family came down to white desert to fly kites. And Indians can never get enough of cricket. When they slog the ball and break window panes in the small streets imagine how much they would want to hit when they are in open flats. Eat. 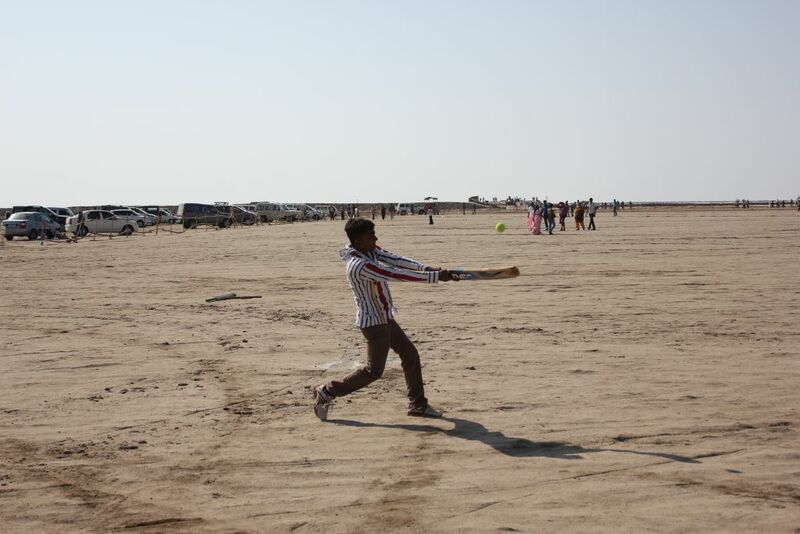 Sleep and Breathe Cricket! 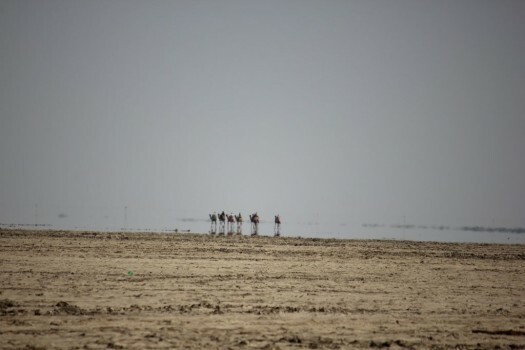 And I saw a real mirage for the first time in my life. I mean, you always see some while riding the highways on a sunny afternoon, but then this was the real deal! 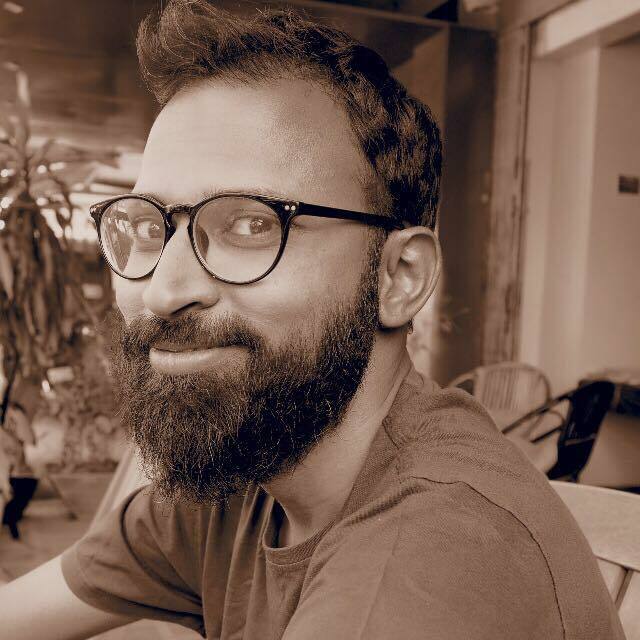 It was my first weekend after my ride started and I enjoyed every bit of it! 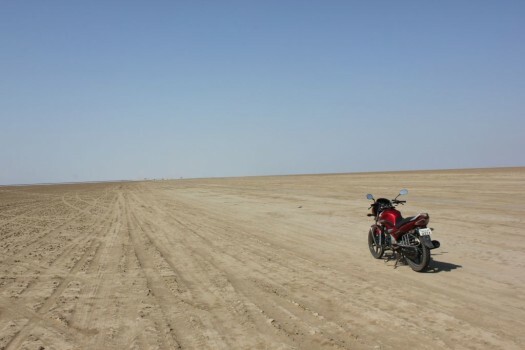 As the tagline of Kutch festival goes ‘Kutch nahi dekha toh kuch nahi dekha’. So true that! 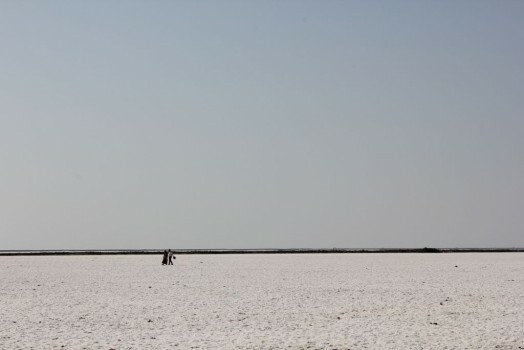 If you have not seen Kutch, you have not seen much!